Formal and reportage wedding photography from the beginning of the day through to the end of the last dance. I will attend your special day to capture the essence of your celebration in a style that suits you. I will give you full coverage from the Bridal Party preparations to the start of your Wedding Breakfast (including an optional additional venue shoot at no extra cost), or you may decide you want me to stay longer to cover the full wedding breakfast or even right through to when the bride & groom depart. I have wedding packages to suit all budgets. 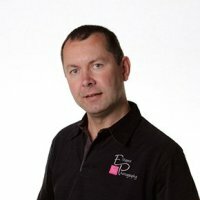 I have a portable studio and will come to your home, business or venue to set up for a creative and fun portrait shoot. Normally these last around an hour and a half. Contemporary lifestyle shoots outdoors can also be done. All subjects are catered for. Birthdays - Your celebration captured on camera to remember forever. Pregnancy - Beautiful and creative images to treasure for eternity. Special Occasions - Christenings to Prom Nights to Graduations. Boudoir - Making you look & feel your best for that special person. Private Commissions - with no limits. Business Events, Corporate and Commercial - Competitively priced. Web Site Images - People, Places and Products - giving you the edge. Model Portfolios - Helping you get to where you want to be. Pet Photography - Natural or formal - you decide. Sports Photography - Capturing the action - whether its a team or just you.